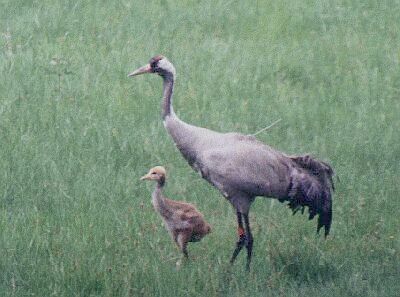 The Common crane is a rare species for Czech Republic. Only a few pairs breed in the northern part of Bohemia that forms the southern limit for European breeding population. In 2000 we made a compilation of all nesting attempts (published 2001). Since then we have studied the behaviour of one pair in the area of the Novozamecky pond. First chick ringed in 2000 and especially the satellite transmitter attached to an adult male in 2001 (as part of African odysey project, see www.rozhlas.cz/odysea/angl) showed that our birds migrate to Germany (more details here) and then to southern France (or here). In breeding, staging and wintering areas we collected important behaviour data in recent years. European collaboration in radiomonitoring and unique common color banding schemes enables continent-wide monitoring as birds visite only a few wellknown places after breeding. LEFT leg: three rings of individual code. 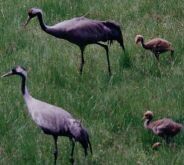 Behaviour and home range of Common crane in breeding and postbreeding period. Peske L., Bobek M., Pojer F., Simek J. The southern limit of Common crane breeding distribution in Europe is situated in the northern part of Czech Republic. Ten to twenty pairs breed within a large area, and are clustered in the most suitable wetlands. The behaviour and movement of one pair from the core area (1) was studied since 2001 using satellite and conventional transmitters on adult male and a small VHF transmitter on its chick (in 2002). We found that each year these migrated 120 km north to a staging area near Grunewalde (D - 2) where they joined other birds. 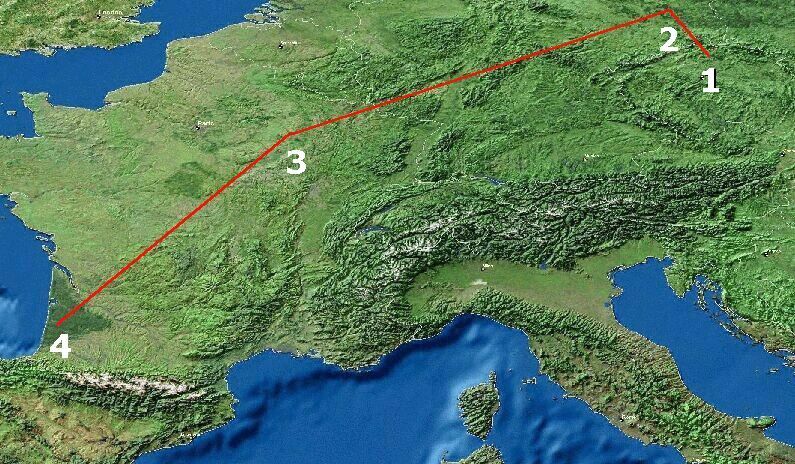 Subsequently, they moved to southern France (Arjuzanx - 4). On the return migration (and most probably even in fall) our bird stopped in the Lac Der (F - 3). 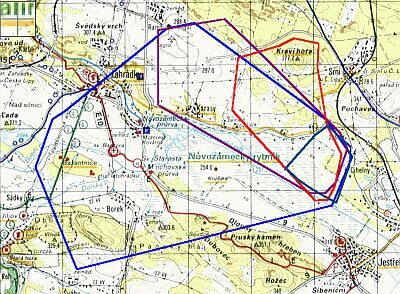 The adult breeding home range encompassed 4,3 km sq in 2001 (when brood was lost) and 10.4 km sq in 2002 (when one chick was raised). The difference in range size was due to movements in the pre-hatching period caused by different crop schemes surrounding the nest. Temporal increase of an area and habitat used according to the age of chick was continuous reaching at the end 5.5 km sq, and was identical to that from 2001, but also extended to adjacent forests. 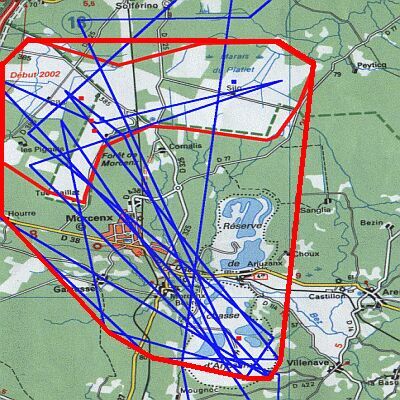 In 2001 we studied behaviour, movements and home range on the staging area in Grunewalde. The tagged bird used most the main night roosting site places, but once roosted with a few other birds in the feeding area. Our visit to the winter ground confirmed behaviour similar to that in staging area, but due to a higher density of cranes and increased competition, movements away from the main roost area were longer.